July 13, 2016 (Houston, TX) – Gulf Coast Regional Blood Center will be hosting a blood donation drive in partnership with Liberty National Life Insurance Co. The blood drive will take place at Boxer Property’s Ranchester Building located at 10333 Harwin Dr in Houston, TX. On July 25th, 2016, from 8:00 am to 11:30 am, donors will be able to give blood at a time when donations are critically needed by area hospitals this summer. Boxer Property is proud to be a part of this wonderful cause, as more than 1,000 blood donations are needed per day by patients within the Texas Gulf Coast region. Anyone who donates will also receive a free “Commit for Life” American flag T-shirt. Participants can look for the Mobile Blood Bank that will be parked outside of the Ranchester Building. Tenants will have a chance to make a difference as donations tend to decline during the summer months as schools are closed. Participants can sign up to give blood by making an appointment in the link below. Same day appointments are also accepted. Liberty National Life Insurance Company has been providing quality life and health insurance since 1900. Headquartered in McKinney, Texas, Liberty National has over 1,400 licensed agents across the nation in 49 states. 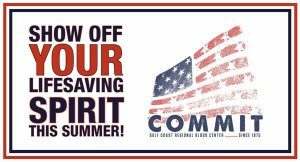 Gulf Coast Regional Blood Center has been partnering with the community to help save lives since 1975. As a non-profit organization, they serve the largest medical campus in the world with over 650 employees.